Born in: Los Angeles County, California. Favorite roleplaying club: With friends, not so much a club as a long running social engagement that has lasted, on and off, from 1974 to know. Favorite book: That changes. Currently Sheepfarmer’s Daughter by Elizabeth Moon. My favorite game supplements/adventures (which are very much like books) are the Dreamlands ones by Sandy Petersen. Favorite role-playing game: That constantly changes, generally to whatever I’m playing at the moment. Favorite wargame: Chaosium’s God War. Juegos y Dados – Welcome Stephen, thank you so much for your collaboration. It is an enormous pleasure that you are here with us. Stephen – Some of us had really strange luck. One guy died at least once a week. Others never seemed to. Juegos y Dados – We interviewed Sandy Peteresen months ago. It’s a nice person. You are studying with him a lot of years ago. Could you explain something about him? Stephen – Sandy is incredibly creative and gracious. Stephen – I sat down next to some strangers in a class and one had an interesting looking book so I asked if I could borrow it. Next thing you know, I was playing original brown box D&D with Sandy Petersen. Juegos y Dados – How was the first role-playing game that you created? Stephen – In 1969 I tried to create a game but I was using a board and pieces instead of miniatures and I had not figured out magic as artillery. Since then I’ve had the chance to be involved with Chaosium, TSR and Hero Games. 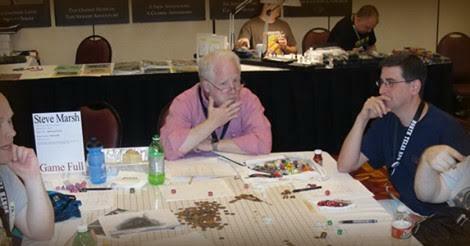 Juegos y Dados – How did you get involved in the world of D&D with Gary Gygax? Stephen – I just started writing him and he wrote back. Juegos y Dados – Sahuagin, Ixitchitchitl and Catoblepas are some of your creations. Could you explain us how you thought about this? Stephen – The first was Aztec sharks, the second was an Eldritch octopus race, and the last was from a bestiary. Juegos y Dados – Mystic, a new character class who could teleport to various planes of existence via mental powers. How did you think this idea? Stephen – I was taking a class on the philosophy of India in college and decided to map the classing yogic power descriptions and lore to a character class. Since I was also working on planes of existence, the two came together. 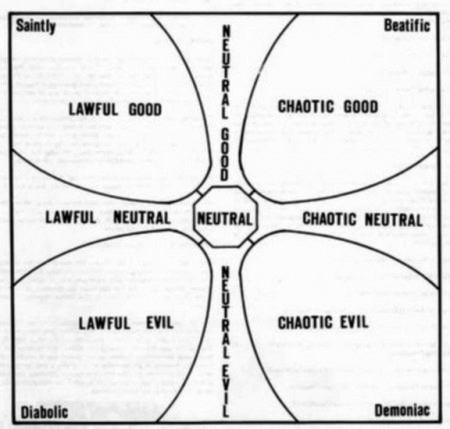 Juegos y Dados – You convinced Gygax to add a Good and Evil axis to D&D’s character alignment system when he was developing AD&D. Do you think that players role-playing correctly their alignment? DM must be stronger? Stephen – I like letting players have their heads and for the game to meet the needs of those playing it. DMs should run things in a way that they enjoy. Juegos y Dados –You contributed to Monsters of Myth. Would you consider yourself influenced by to be fan of Lovecraft? Stephen – Some. I did author a precursor to Call of Cthulhu and play tested Call of Cthulhu (which is brilliant, original work by Sandy Peterson). My contribution to Monsters of Myth is also affected by Starstrands. Juegos y Dados – You was author or contributor, in the shadows, of the most famous RPG of the history. What do you think about so people with a copy in their homes? Stephen – I hope they enjoy the games. Juegos y Dados – How did you work, for short time, in TSR? 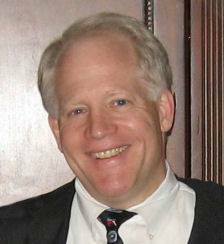 Stephen – Gary wanted me to come to Lake Geneva so we could meet in person. Juegos y Dados – I suppose that you met some of famous designers of that age. Could you explain any funny story? Stephen – It was an inside joke to blame things on Tim Kask. Of course you could only blame things on him that he had absolutely no responsibility for (which is what made it a joke). Juegos y Dados – Have you ever been Master? I would like knowing funny moments in the role-playing stories. Stephen – I’ve had players come up with innovations that surprised me and made me laugh – and changed the way I designed too many time. Stephen – I am very hopeful. Stephen – I play at NTRPG Con and sometimes with my daughter. I wish I got over to Rockwall more often – they have what may be the best game group in the world. Juegos y Dados – What is your favorite edition of D&D? Stephen – The one I am playing. I love the various OSRIC/OSR games, pre-AD&D systems, and 5th edition. Juegos y Dados – Do you think writing any new role-playing game in the future? Stephen – I’m not sure. I’m currently working on some projects for AD&D/D&D and 5th Edition with New Big Dragon. If they are successful, I’ll probably do more. Stephen – I wish them all the best.